81 I love Brilliant.org and I wish I had time to sit and solve all the problems! They posted a problem last week about a simple pendulum and the fraction of time it spends at angles greater than the maximum angle divided by three. I gave the problem to my AP class since they have a test on oscillation this week. 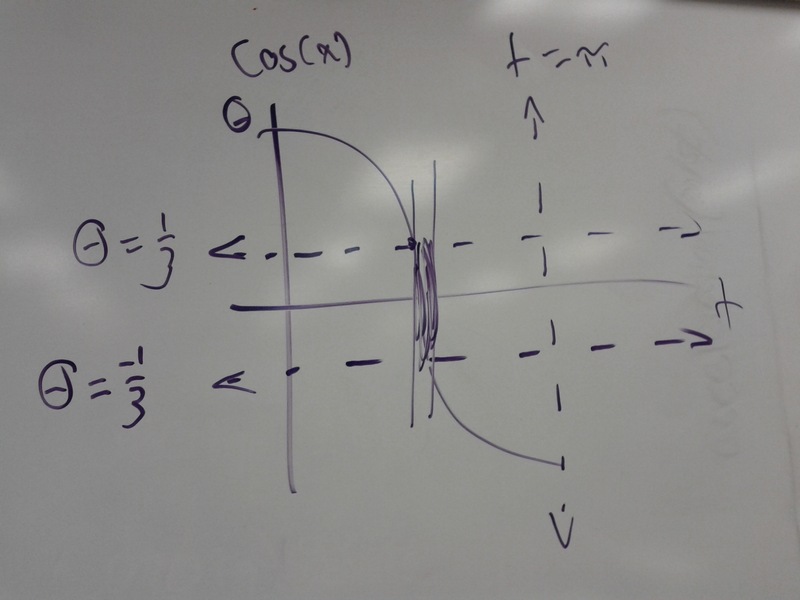 Several of them solved it handily, and here is one student’s graphical explanation. I was out with a virus Wednesday through Friday last week and I forgot to take a photo Monday, so this post is for yesterday.